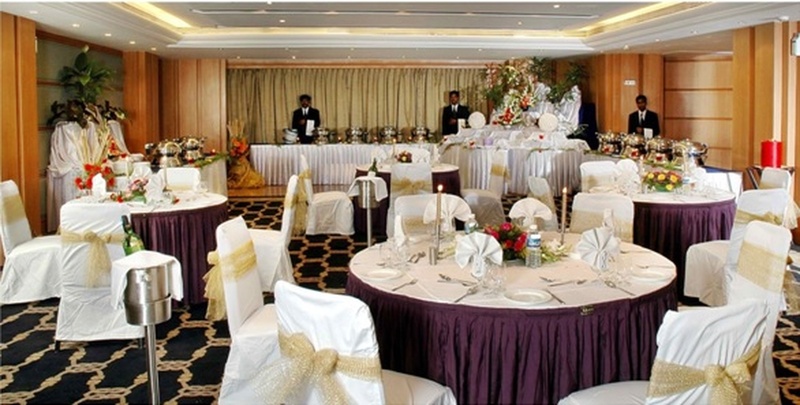 Gold Finch Hotels, Bangalore, provides a beautiful space to host your wedding functions. Located on the 1st floor, the pillar-less hall makes an ideal choice to organize your reception ceremony, engagement party or a sangeet function. The event banquet hall can be accessed through two elevators and a staircase. With carpeted flooring and lavish chandeliers, the wedding banquet hall adds an elegant touch to every event hosted in its premises. The Gold Finch Hotels located in Race Course Road, Bangalore has Wedding Hotels, Cocktail Venues and Banquet Halls. SILVER BILL can accommodate upto 250 guests in seating and 400 guests in floating. Vegetarian food is served at this venue. Features of this wedding venues are : Food provided by the venue , Non-Veg allowed at the venue , Alcohol allowed at the venue , Outside alcohol allowed at the venue , Music allowed late , Halls are air Conditioned , Baarat allowed , Fire crackers allowed , Hawan allowed , Decor provided by the venue , Packages starts at Rs 750 per plate for vegetarian menu and at Rs 850 for non veg menu.